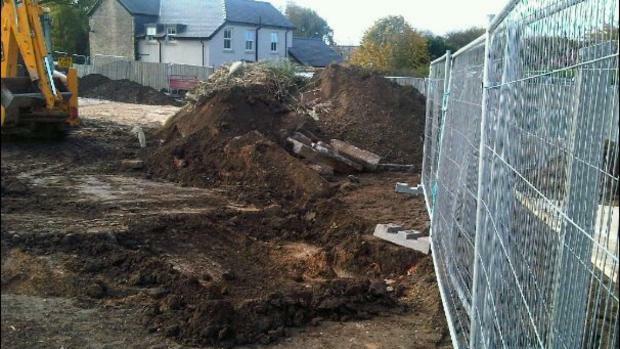 As June approached, we spent long hours ensuring that the property was ready for hand over. 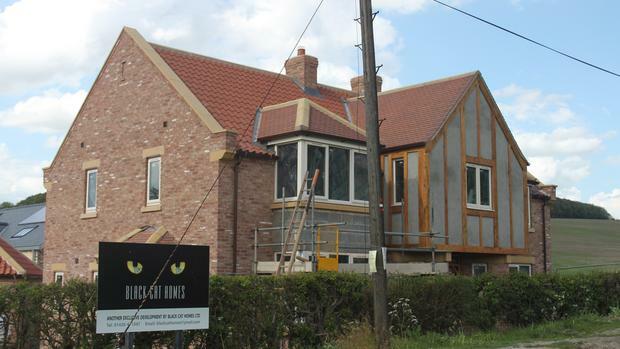 The client is extremely happy with the finished product and we are all set to move the construction to Hessle to begin work on our next project..
As we are nearing the end of the build, one of the most satisfying elements is when we begin the second fix stage. Previously bare rooms start to come to life with the addition of bathroom suites, fireplaces and kitchens. We are really enjoying working with this client as he has a vision in his mind as to exactly how he wants things to look. 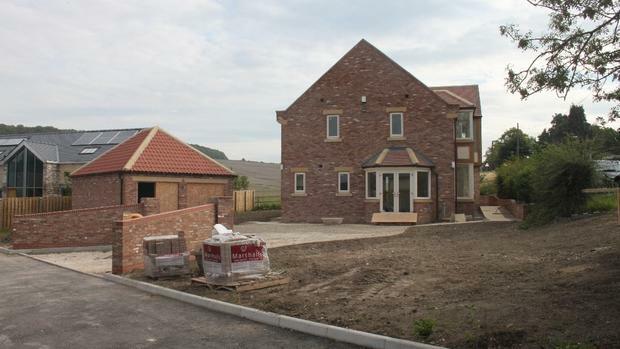 The sweeping driveway from an ornate driveway has taken shape through May and, as with the internals, the external element of the building is now taking shape. 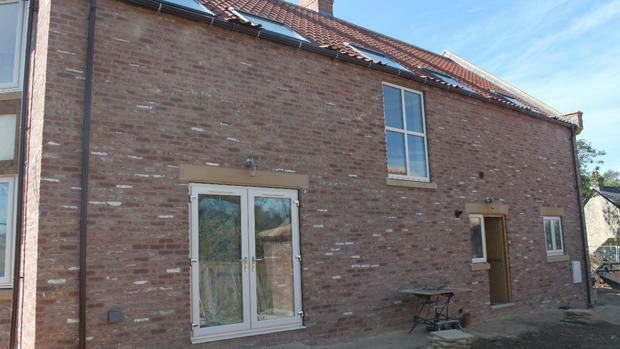 The internal design is of a very high specification and having the building weather tight in March has allowed us to progress with the completion of the internal finishes. 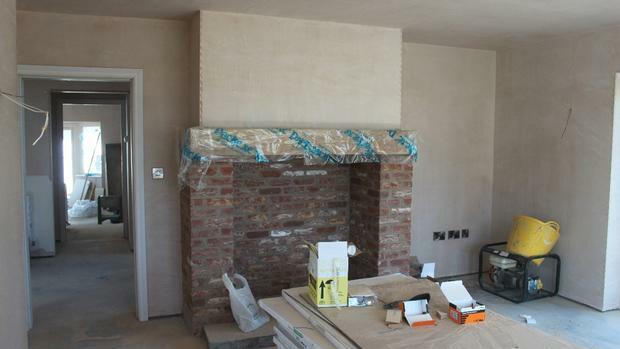 Once the plasterers had finished, it allowed us to begin refining things such as the ornate fire places that the customer has requested. It is now the beginning of April and the building is externally, nearing completion. Once complete we have plumbers, electricians and gas engineers all lined up to complete first fix of the services to then be followed by the team of plasterers. Keith Saunders, Black Cat Homes managing director, said: “We are happy that we are still on programme and that the time we lost during the hideous weather we experienced in November has been made up. 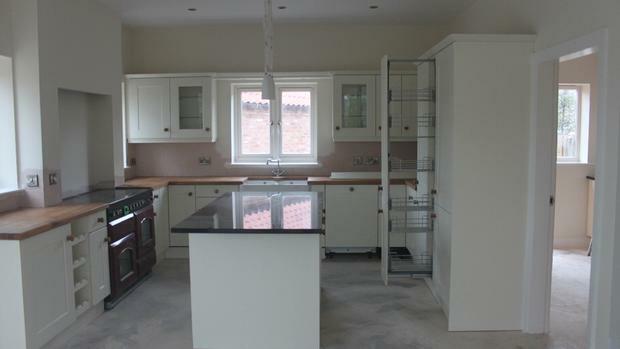 The customer is extremely happy with progress so far and is looking forward to moving in around June 2011." We had a fantastic Christmas and new year as our very own Catherine got married to Peter Melling in December. Unfortunately we didn’t take many photographs during this time but you can see that by March 2011 the build was progressing at a fantastic rate. By the end of March we were on programme to make the building water tight and begin the first fix. 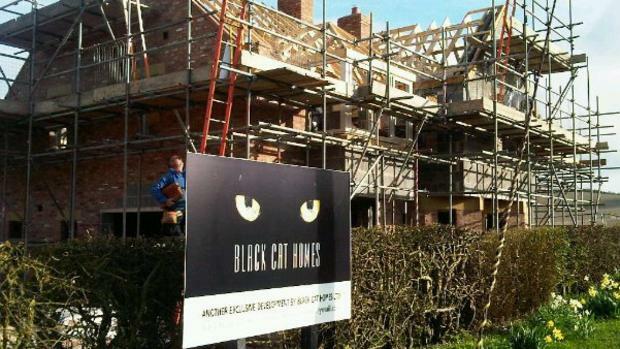 Black Cat Homes was approached in June 2010 by a client who had purchased a plot of land on Beverley Road in South Cave and who had already completed designs with a local architect. 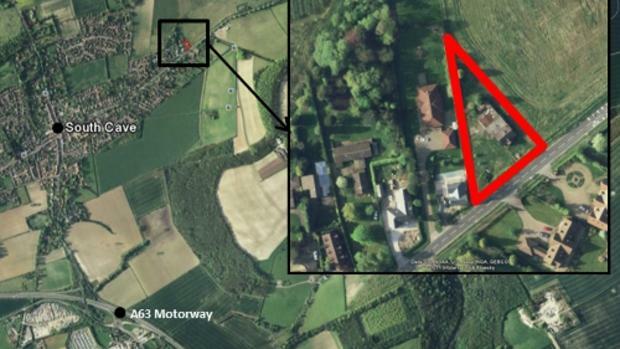 Black Cat Homes reviewed the plans and formally tendered for the work in July 2010 with a start date of October in mind.